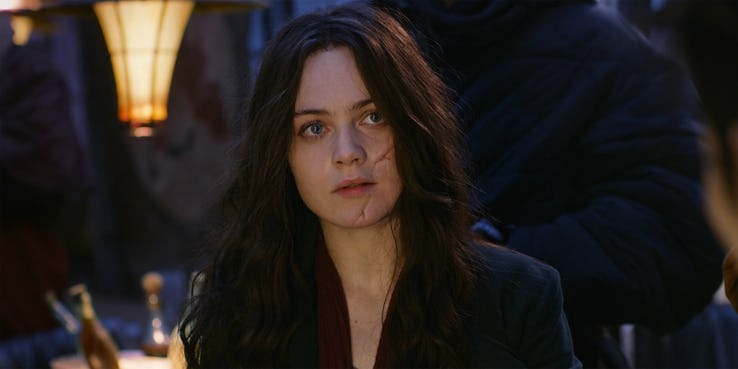 Cinemablend has had the chance to chat with Peter Jackson about the the potential sequels to Mortal Engines - if you didn't know there are another three books that feature Tom and Hester and they get better and better. "You should [read all the books] because they actually get better and better. This is one movie where I hope it's successful enough that we get to do the other stories, because the other books are really... this story mushrooms in such unexpected ways in the future books. So, I really hope we get to make those films. It's cool. It's a love story. It's an unlikely love story. It's about a young woman who doesn't really think that she will ever find love, and she finds it in a very unexpected way in the middle of this chaotic, strange world that we're in. And I also just like the idea of seeing big cities eat other. I think that is where we have an advantage where Philip Reeve didn't, because when he wrote the first book I don't think he knew he was going to write the other books. I think he wrote that one book as a story, and then through the fact that people liked it and obviously he thought he had more story to tell, he carried on. We have benefited, obviously, knowing now what's in the other books in the future. So there are little subtle things we're doing that will help us flow into the other. They're not anything that changes anything much, but it's just stuff that because we know what is going to happen in the future with these books in the story we're able to plant little things here and there that will be helpful to us should we be so lucky to make more films." First look at Hester Shaw's scar!